The figures from Deloitte’s Sports Business Group looked at the financial performance of the last eight clubs in this year’s competition, taking data from their Money League Report. Dan Jones, partner in the Sports Business Group at Deloitte, says that this season Champions League money will hit new levels with UEFA’s new broadcast deals, but the impact on other streams is significant – noticeable losers in the money equation are Real Madrid who have dominated the competition in recent years but were knocked out before the quarter finals. “Participating and progressing in the Champions League delivers significant revenue benefits in terms of UEFA distributions and matchday revenue, and sustained success on the pitch is also likely to translate into commercial revenue growth over time. 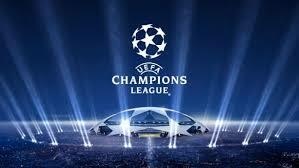 This is the first year of a new set of broadcasting arrangements and distribution mechanism for UEFA. Quarter-finalists have already earned a minimum distribution from UEFA in excess of €60m, and the team that lifts the trophy, and possibly others, will generate in excess of €100m in central distributions alone,” said Jones. In the Europa League Arsenal’s fixture with Napoli has a combined revenue of €622 million, greater than the two other fixtures in the Champions League quarter-finals, Liverpool versus Porto (€619.5m) and Juventus versus Ajax (€486.8m).